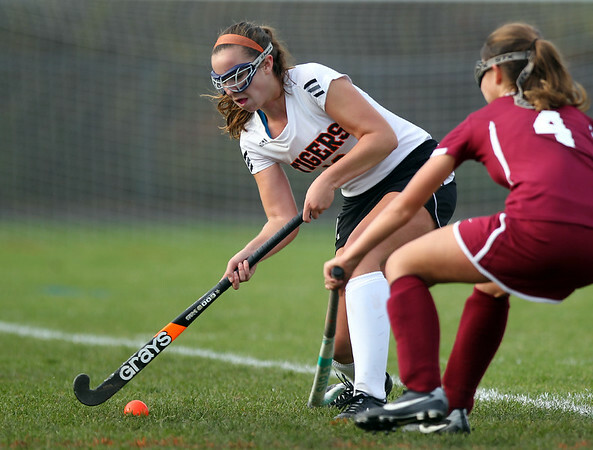 Ipswich sophomore midfielder Lauren Gallant plays the ball past Gloucester's Samantha Commoeilli (4) on Wednesday afternoon in their D2 North first round game. DAVID LE/Staff photo. 10/29/14.